These common yellow Hibbertia are sometimes called Guinea flowers as they are supposed to resemble the British guinea coin. There are many different species which are mainly distinguished by leaf shape or the number of stamens as the flowers are all similar. 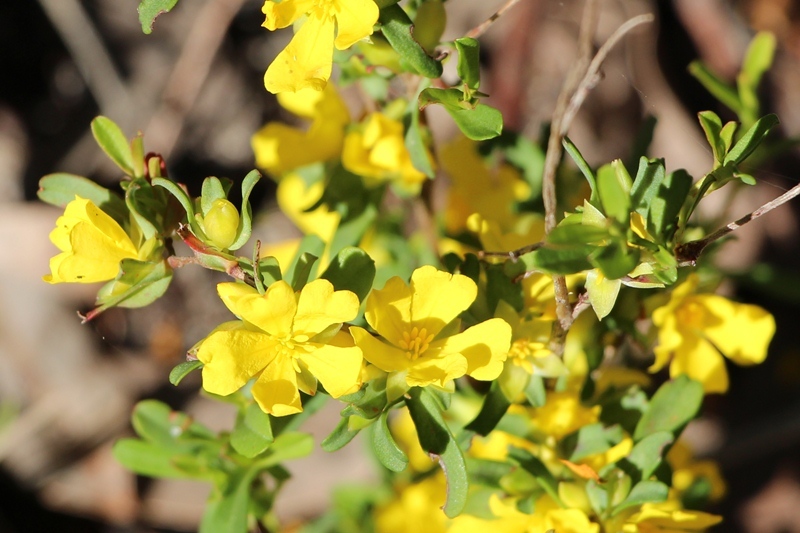 This one looks like the Cuneiformis or cutleaf Hibbertia.